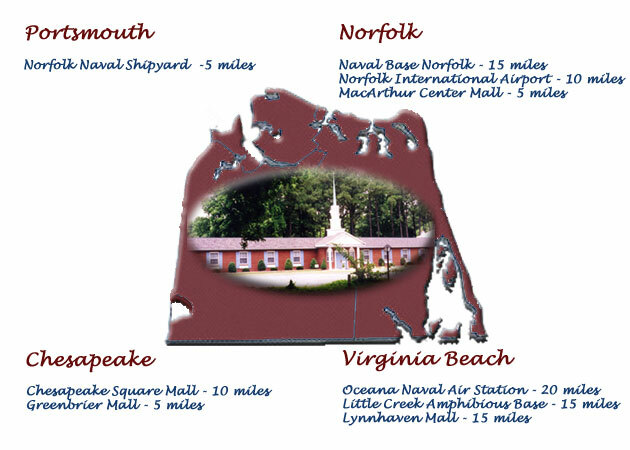 How to Find Us: Fairview Baptist Church, Chesapeake, Va.
Centrally located in the heart of Hampton Roads, Fairview Baptist Church is nestled on three acres of partially wooded land within a mile of the Indian River. Located at 1204 Tatemstown Road in Chesapeake, the Church enjoys the tranquillity of a settled residential community within five minutes of busy Interstate 64. Fairview Baptist Church serves the Southside Hampton Roads cities of Chesapeake, Norfolk, Portsmouth, and Virginia Beach.